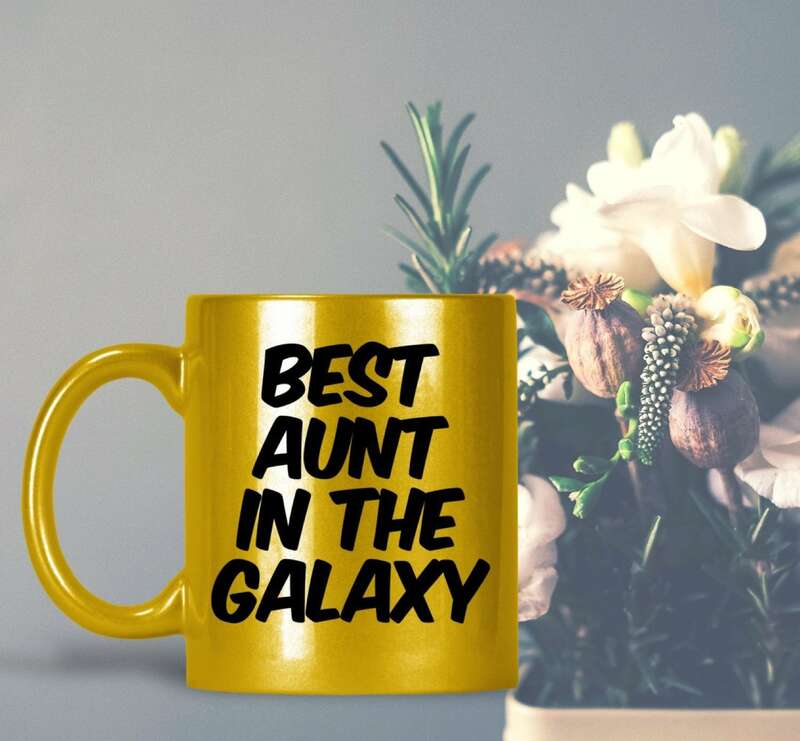 Surprise your favorite and coolest aunt with this groovy metallic coffee or tea mug. 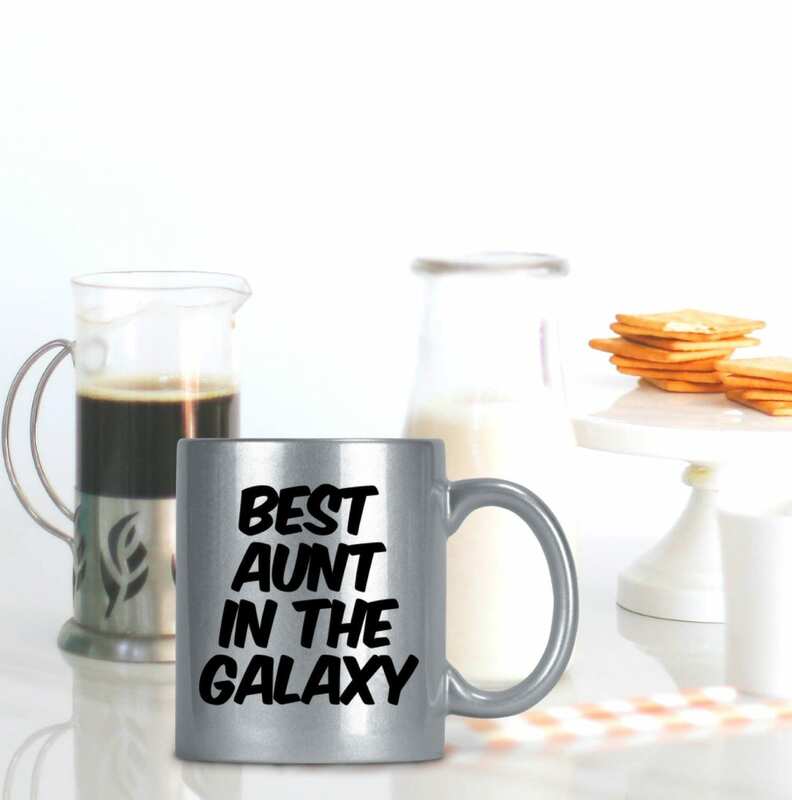 She's not only the best, but the best in the whole galaxy. Available in hot pink, gold and silver. 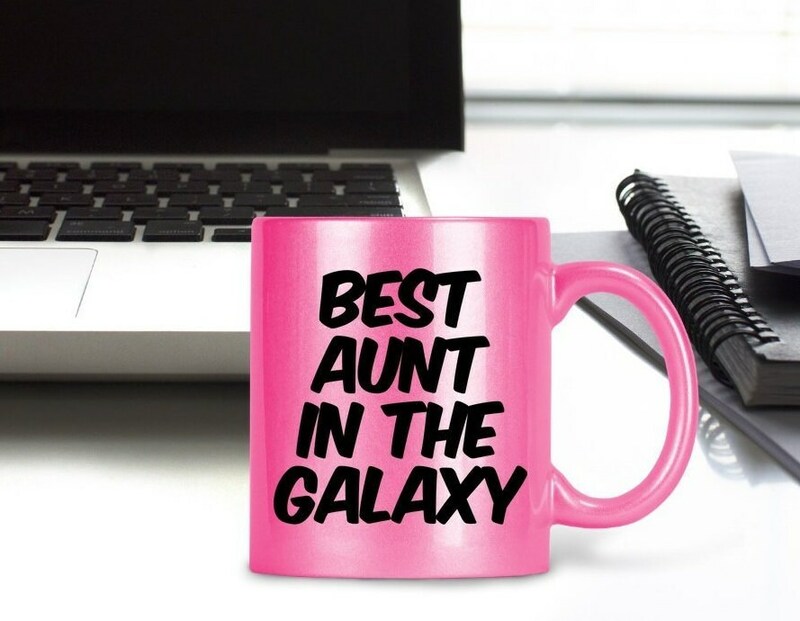 Wonderful Mother's Day gift for fabulous Aunties. Available in shimmery hot pink, gold and silver with black typography.